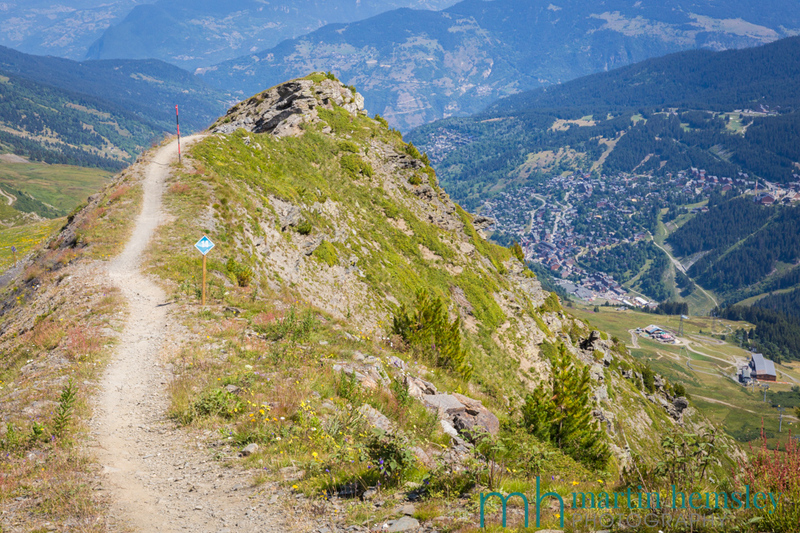 A couple of weeks ago in my previous blog post, I mentioned that I would return soon and share information on the improvements that are going ahead in the Méribel valley both with the ski lifts and ski area. You may have seen an article on the merinet.com website about this same subject, written by yours truly, however this will be a more comprehensive report. Because there is so much going on, I shall blog about these improvements in two parts to save you from a marathon session today. 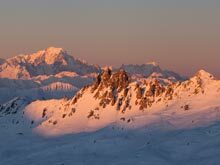 As a ski instructor in Méribel, I always find it fascinating each year to learn of future plans, and then to quickly establish how these changes will benefit me with how and where I teach. So let's start down at Chaudanne, the main ski lift hub and meeting point. 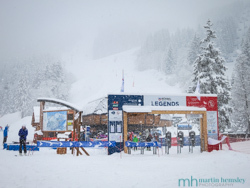 The base station of the new Legends chairlift at Chaudanne. As soon as the mountain closed last spring, the popular Plan de l'Homme chairlift was dismantled and taken out, more about this in a moment. Work continued soon after with the installation of a brand new, super duper deluxe version, which will be called 'Legends'. It will also be a six seater, just like its predecessor, but with a difference. Firstly, the uplift has increased to being able to shift 3,600 people an hour, up from 2,800. During the busy periods of the winter, ie the school holidays, this should reduce the size of the lift queues from the chairlift, and also perhaps away from the Tougnete bubble. It is claimed that the chairlift will be more comfortable, have heated seats, and be covered with a hood similar to other more modern chairlifts. I can't recall my booty being chilly on this chairlift before, however every little helps when the mercury drops. I think that the hood will be very welcome in poor weather, high wind won't be as biting as before, and we won't get a free facial cleanse by being pelted with snow any more. One final thing to mention about the hood - I also think this will be brilliant for when on those rare occasions it rains down at resort level, before turning into snow higher above the snow/rain limit. This means that your precious Bognor and Moncler ski jackets, and my red and white uniform, shouldn't get the annoying oil drips from above anymore! The top station of the new Legends chairlift. As much as I've tried to be arty with the photograph above, a building site will still look like...... a building site, even high in the mountains! Back to the old Plan de l'Homme (let's call it the PDLH) chairlift that was taken out a few months ago, it is being recycled, and used higher up in the Roc de Fer area. Do you remember the Cherferie draglift, one of the longest in the ski area with a double dog leg that runs adjacent to the fabulous Choucas blue piste? It's now being replaced by the old PDLH. The bottom of the chair is just off to the side of the old Cherferie drag lift, and climbs at an angle across the cliff to about a hundred metres higher than before. 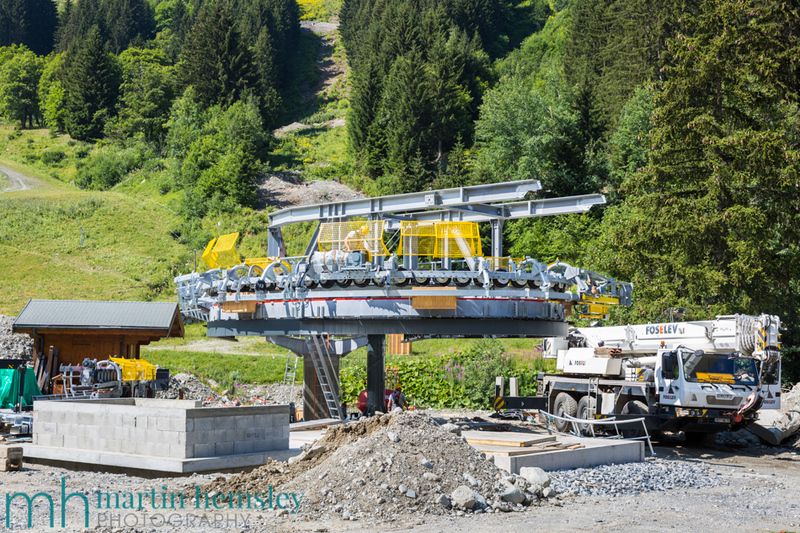 This will give easier access to the Choucas blue piste and Blaireau red piste in Méribel, and also the Jerusalem blue piste popping over into St.Martin de Belleville. 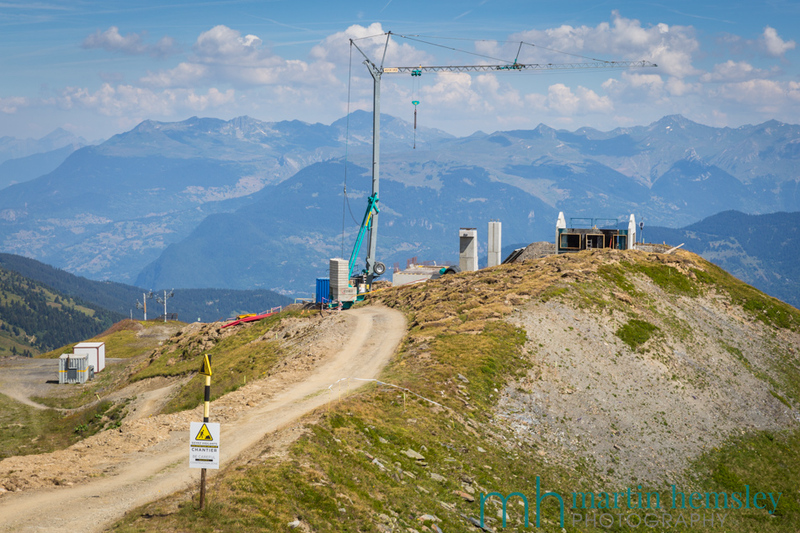 This 'new' chairlift will be also called Cherferie. 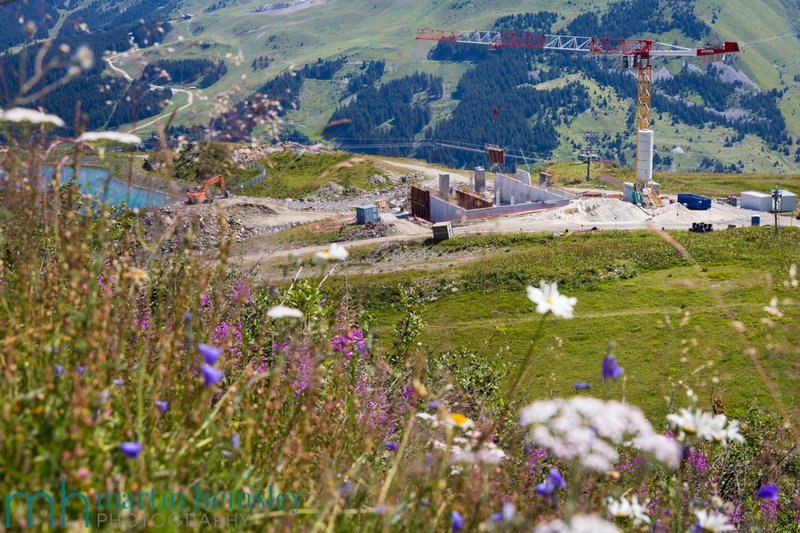 The top station of where the new Cherferie chairlift will summit. There are two other improvements in this area. 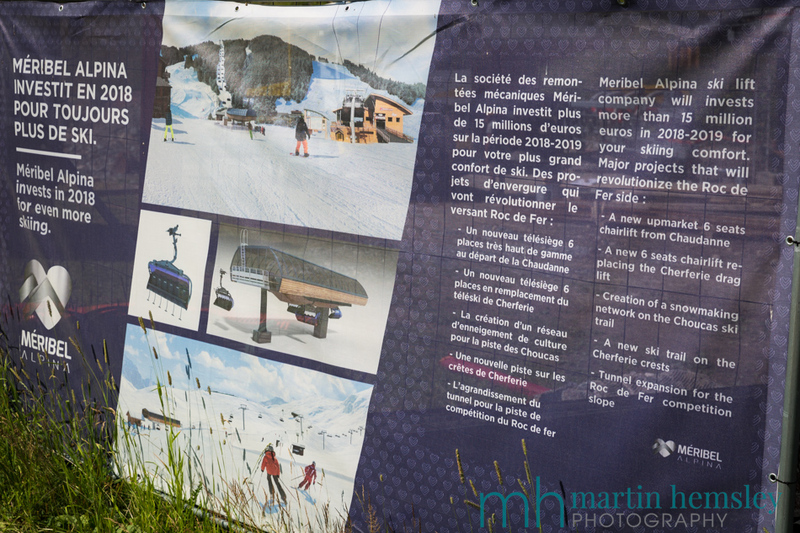 The blue piste 'Choucas' from next winter onwards will have snow cannon coverage. It's possible that the new Cherferie lift will increase the number of skiers and snowboarders using this piste, so having a greater snow depth courtesy of the cannons should reduce any rocks coming through which was always a possibility before. The second improvement is the creation of a brand new red piste, called Gypaete (a type of vulture found in the French Alps). It will start by forking off to the left of the Choucas blue, and eventually weave its way down onto the Roc de Fer blue piste. Phew, what a lot is going on, and that's even before the second blog post on the same subject. Sometimes it can be tricky keeping pace with what's happening, so let's take a breather and remind ourselves what this is all about. Ready? 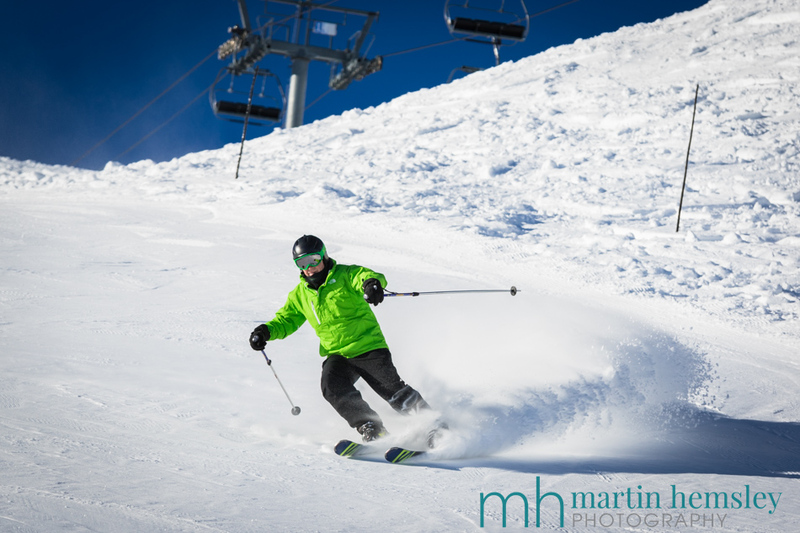 Chris enjoying the fabulous snow conditions last winter. There you go, that feels better. 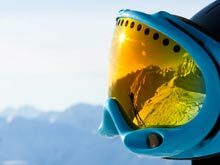 If you are new to Méribel and have just read this post, don't worry about the detail because everything will be just as good as before, but even better now. Right, I'd better sign out and get back to my wedding work! Have a great weekend everybody, and do come back in a couple of weeks for round two.